Europe has finally admitted what has been spoken about in Lithuania for a long time now – it is experiencing information attacks from Russia. 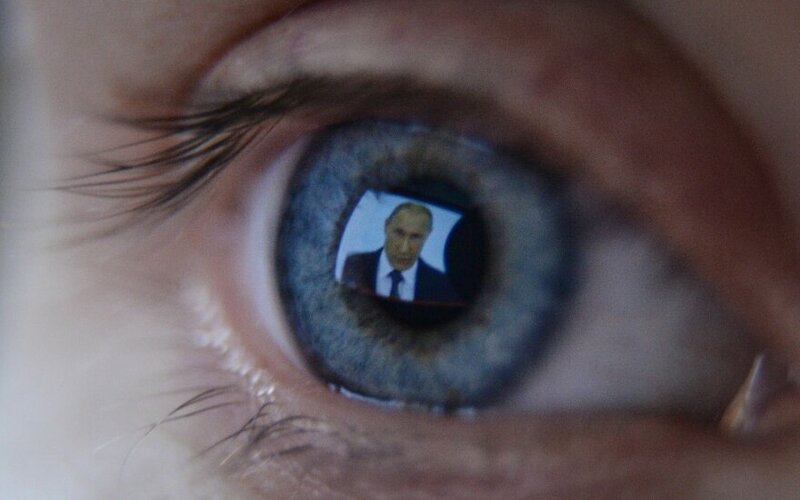 This week the European Parliament passed a resolution which states that Russian propaganda, just as that of the Islamic State threatens sovereignty, political independence, individual security and the territorial integrity of EU member states. The response to this resolution was immediate – Kremlin controlled television accused the Baltic States of having propagated an incredible project of intimidation, with people supposedly being intimidated with the threat of Russia‘s military. LRT.lt reported. Presenting himself in someone else‘s name, Jurijus Subotinas from Vilnius shows the Ministry of National Defence publication which explains how Lithuanian citizens should act in the case of war or occupation as proof. “It is intimidation propaganda. How to hide, shoot from behind a corner, how to arm if the Russians come. Preparing for war! You understand?” he told ORT television. It should be added the specifically Subotinas is inviting the Russian military into Lithuania. He has urged Prime Minister Saulius Skvernelis to visit Vladimir Putin in Moscow and show the way for Russian tanks. For such public statements J. Subotinas has been convicted a number of times and even now is in a court process. It is unlikely that pro-Russian Latvian Non-Citizen Congress activist Aleksandr Gaponenkoh seen the publication for Lithuanian citizens with his own eyes, but he is assuring that the instructions are being distributed in even Lithuanian schools. “They are intentionally preparing students and women that they would become a live shield against Russian tanks,” the Latvian activist tells the same ORT television. Those speaking in the ORT report cannot be trusted, but the constant flow of propaganda in Russian channels does achieve its goals. Some inhabitants of Vilnius say that Lithuania is raising tensions in the region with no justification because V. Putin’s Russia is no threat. The truth is very different – Russian activities, the placement of nuclear payload capable rockets in Kaliningrad leave the entire Eastern European region concerned. Opinion polls have revealed that a few groups of Lithuanian society are influenced by Russian propaganda. “The groups that feel nostalgia for the Soviet era and the groups which are dissatisfied with the functioning of democracy in Lithuania are statistically the most important. Also, considering the survey of ethnic minorities separately, there is a more favour toward Russia among specifically ethnic minorities,” states VU Institute of International Relations and Political Science docent Dr Mažvydas Jastramskis. It has been observed that among the people who believe that things were better during the Soviet Era, there are many who support the policy of V. Putin’s Russia. During elections the socially most vulnerable layer of citizens votes for anti-establishment political forces in protest. Researchers note that a rise in soviet nostalgia rose during the crisis in Lithuania, so the country was particularly vulnerable to Kremlin suggestion during the 2008-2012 period. The events in Crimea and Russian aggression against Ukraine reduced the will to return into the fold. Polls show that the two largest ethnic minorities in Lithuania view Russia as a friendly state, even 75% of Poles and Russians view the Russian president neutrally or positively. Former head of the Eastern Europe Research Centre, now member of Seimas Laurynas Kasčiūnas says that one of the main targets of Russian propaganda is specifically Lithuanian ethnic minorities. Russia’s goal is to segregate them from Lithuanian political and cultural life as much as possible. “For the past 5-6 years Russia’s strategic goal in Lithuania has been to somewhat connect the Lithuanian Russian and Lithuanian Polish communities through certain organisations that they would perhaps have more power and would prevent the Polish community from having a more Polish cultural tradition and solidarity, this has definitely been successful,” notes Seimas National Security and Defence Committee member Dr Laurynas Kasčiūnas. Having recently taken up the post of chairman in the same committee, Vytautas Bakas intends to review state strategy. “Firstly, over the next two months we have to propose a new National Security Strategy. Secondly we would like to establish coordination in narratives on actions related with information threats. It is not hard to do and will be done,” pledged V. Bakas. Professor Andrius Vaišnys says that the state should establish an Information Policy Council out of non-governmental organisations, and representatives from the ministries of education and science as well as culture soon. “One of the most difficult proposals and recommendations for the government is a programme of an integral Lithuania. Reviewing the experience of the past 15-20 years, what has been done, I will return without a doubt to the role of the school, the role of the teacher, what teachers they is, how they differ, why regions are different. Not due to traditions, but due to understanding, civic understanding of what a state is, what the Lithuanian state is, what civic responsibility is. It is necessary that individuals would truly feel that irrelevant of their nationality, they are citizens who understand the unique history of their state,” proposes VU Communications faculty dean professor Dr Andrius Vaišnys. The European Parliament urges the creation of a common definition of propaganda, gathering data regarding it, changing legislation that it could combat disinformation and propaganda more efficiently. There are also proposals to strengthen the EU Strategic Communication Workgroup, to cooperate with NATO more closely. But the votes cast by MEPs in the fight with Russian propaganda prove that currently there is no unity in this regard.